Describe several important environmental issues that relate to forage production. 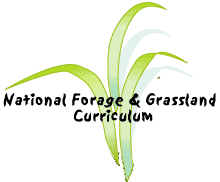 Define the term sustainable agriculture and apply the concept to forage production. Discuss factors that contribute to soil erosion and discuss ways that soil erosion control can be integrated into forage production. Discuss the controversy over using agricultural land to produce crops for animal consumption.